If your project is a one room remodel or a clean-up of a garage and shed the 10-yard dumpster rental Blue Springs is the one to order. Start the demolition of the decking on your home and order the 15-yard roll off dumpster Blue Springs. The 4 feet high sides make it easy to access. The 20-yard dumpster is for larger projects. Order this roll off dumpster Blue Springs when you begin the remodel of a bathroom and kitchen. The 30-yard dumpster is for major residential or business projects. Schedule your dumpster rental Blue Springs today. Our largest dumpster is the 40-yard dumpster. The roll off dumpster Blue Springs can be used for a new residential project or large commercial project. Discount Dumpster has quality staff with years of experience in the industry. 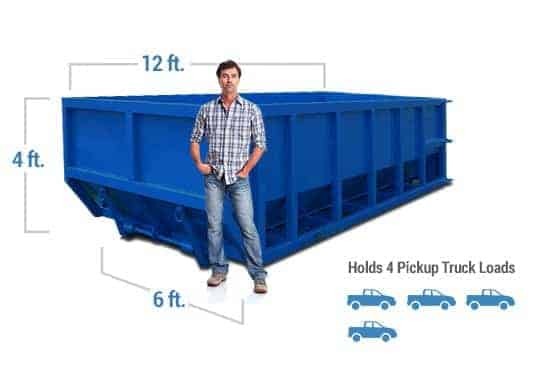 Our commitment to our customers is making ordering a roll off dumpster Blue Springs quick, easy and affordable. The variety of dumpster sizes allows the customer to order a trash container that fits a residential or commercial project. Your debris is contained and removed by Discount Dumpster. Get a best deal dumpster from a trash company that works with you from the start. 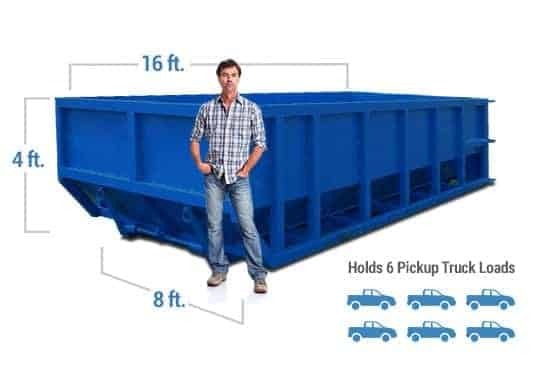 Choosing the right size bin is important for keeping your project site clean. Discount Dumpster staff will work with you to evaluate the dumpster that works best for the project. We suggest the customer order one size larger container than needed. It is costly to order a second dumpster for overflow of debris. Best prices in town and great service to boot! 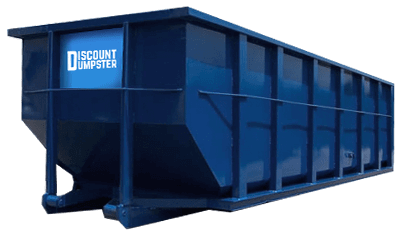 Discount Dumpster’s commitment is to give our customers the best customer service in the industry. We have made the process of ordering a roll off dumpster quick and easy and at the best price available. Our experienced staff will work with you to make sure you get the trash container that fits your needs. Rent a dumpster from a trust worthy company. When you utilize our services you are getting the best. With a focus on customer service let us take care of the waste removal. Contact our customer service representatives today for an instant quote. At Discount Dumpster our customer service will exceed your expectations. From start to finish our friendly staff will make the scheduling of a dumpster fast and easy. Ordering the correct size dumpster can sometimes be difficult, but with the assistance of our staff you can be assured you will be getting the trash container you need. Wrapping up a large junk removal project is simple with our waste services. At Discount Dumpster, we offer on time service and affordable rates, making every clean up job easy. Keep home improvement cheap with a low cost roll off. Take your time finishing your project by utilizing our extended rental periods. When you are completed just give us a call and we will haul your junk and construction debris away. Rent today by calling our customer service reps and we will answer all of your questions.